Lexington-based ecoPower wants to build a biomass plant in Perry County. 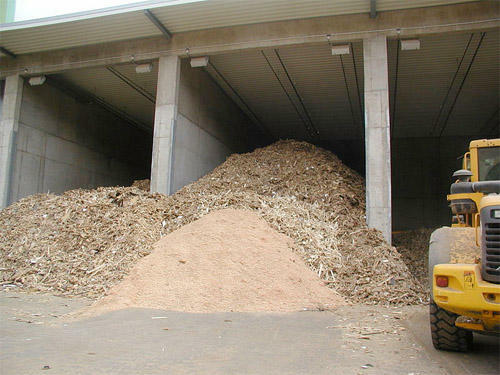 The plant would burn wood scraps to create electricity. The utility Kentucky Power wants to buy all that electricity, and the state Public Service Commission will decide whether to allow the company to do so. The PSC is tasked with making decisions on the basis of whether both the proposal and possible rate increases are “fair, just and reasonable.” A bill passed during last year’s General Assembly directs the commissioners to give additional weight to biomass projects. Attorney General spokeswoman Allison Martin says the rate increase outweighs the benefits of biomass. “The Office of the Attorney General is not opposed to exploring biomass options; however, in this case, it seems this will adversely affect rate-payers,” said Martin. If the PSC grants the proposal, it will raise rates seven percent in Eastern Kentucky. That increase would be in addition to other pending rate increases. The Kentucky Public Service Commission (PSC) has approved a request by Grayson Rural Electric Cooperative for a rate increase that will allow the utility to maintain its financial stability. The PSC authorized Grayson to raise rates to generate an additional 1.9 million dollars in annual revenue. The commission, however, termed the increase "problematic." It said the utility has been aware since 2010 that lower energy sales and rising costs were causing its financial position to deteriorate but waited until late last year to seek a rate adjustment.